There's now visual proof that this surreal centerpiece is more than a developer’s mocked-up fever dream. 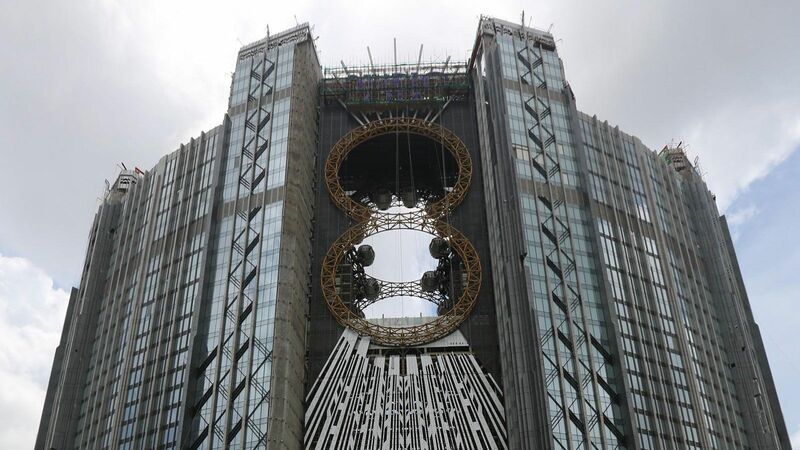 New construction photos have been released offering a close-up look at Macau’s nearly completed “figure-eight ferris wheel,” the most attention-grabbing gimmick of a $3.2 billion casino resort bursting with them. It might be more correct to call it a very slow roller coaster that travels the periphery of a Venn-diagram-shaped void, because the pods don’t cross in the middle, but gaming operator Melco Crown Entertainment still gets points for originality. 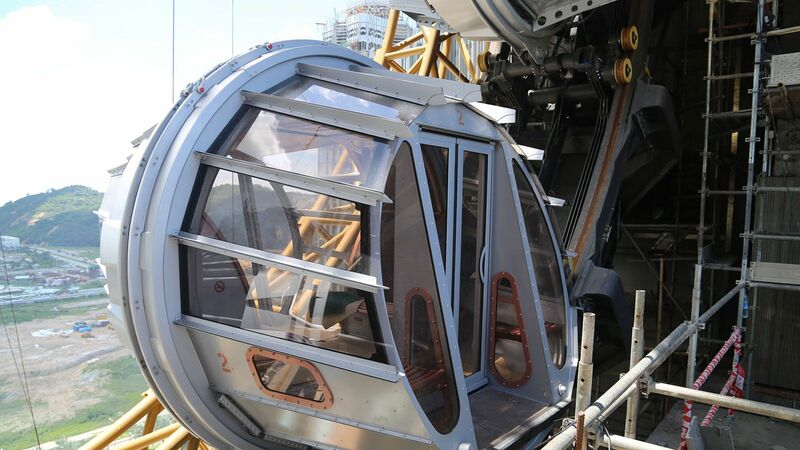 The ride is a reference to the two reels of a film projector, in keeping with Studio City Macau’s Hollywood theme. According to a report from January, it’s also been tied in with a suite of superhero-themed attractions at the resort, which is set to open later this year. Inspired by an image of "two asteroids shooting through a Gotham City building," the Golden Reel rises 430 feet above the former Portuguese colony’s “Cotai Strip,” a stretch of hotel-casinos developed in the early-to-mid 2000s by the Las Vegas Sands corporation. You can trace Studio City’s water slides and Wonder-Woman-themed go-karts (along with the $70M DiCaprio-starring short films created to promote them) back to the Macau government’s policy of issuing casino table licenses based on how many non-gambling attractions casinos have on offer, in an effort diversify the region’s offerings beyond gaming. Though Macau’s gambling industry is much bigger than that of Las Vegas, the average visitor spends less than a day there.